Sponsored by Michaels Stores. 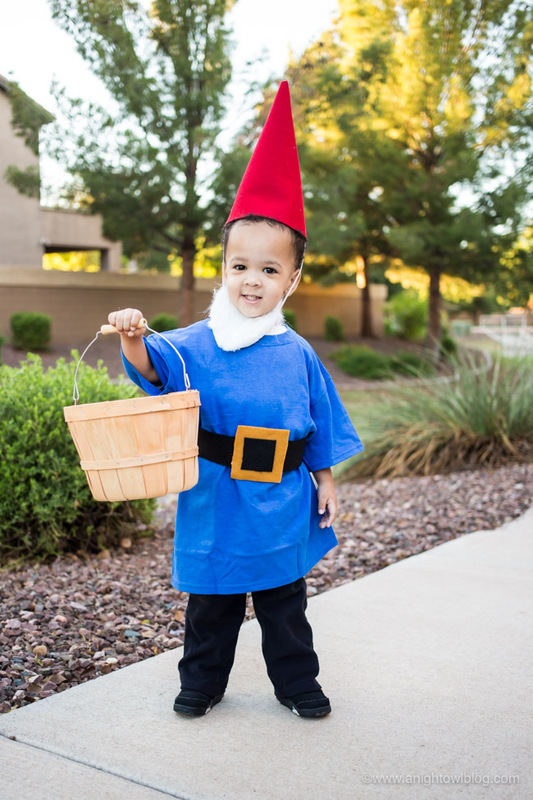 Perfect for an easy, last-minute costume, whip up this No-Sew Garden Gnome Costume in just minutes with everything you need from Michaels Stores! Hi friends! It’s one of my favorite times of the year! You know, when October 1 hits and everything is pumpkins and fall! 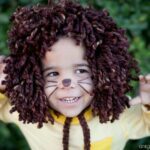 I also love this time of year because there is no craft that I love MORE than DIY Halloween Costumes! You might have gathered that if you’ve followed along with us here for a while. 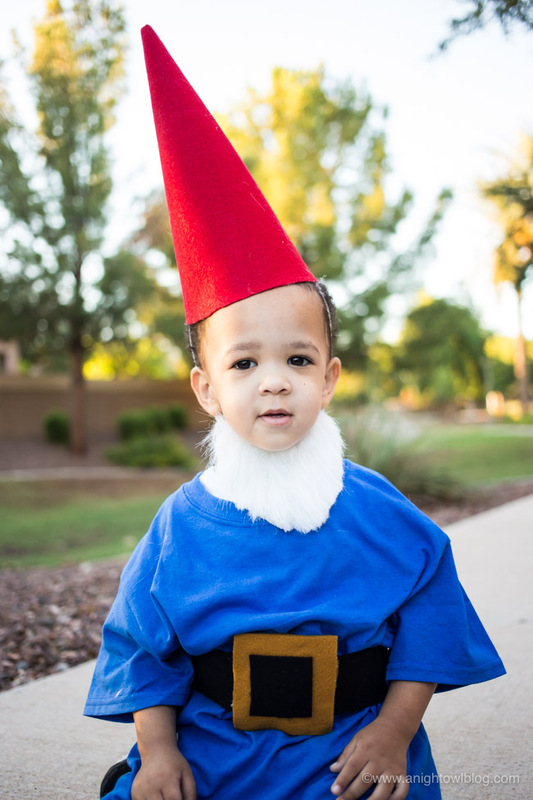 I love coming up with super simple ideas for Halloween each year and this year is no exception. 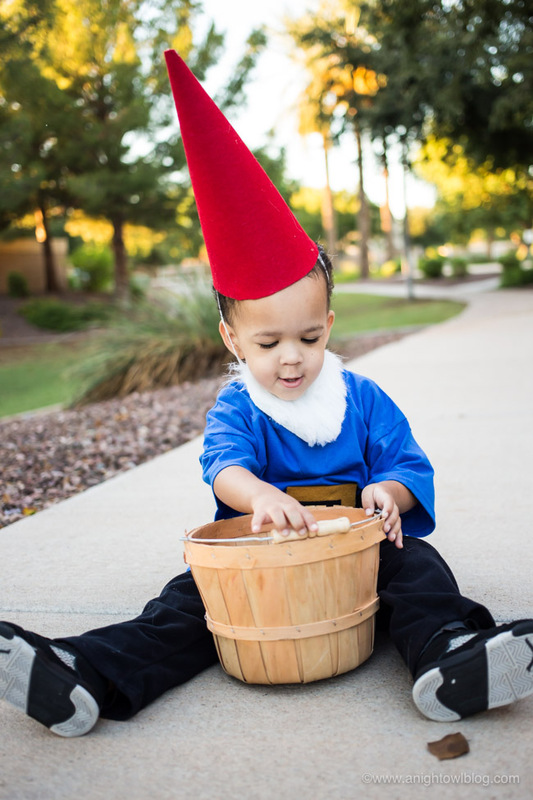 We’re going to show you how to make this adorable Garden Gnome Costume in just minutes with everything you need from Michaels Stores! Michaels is your Halloween HQ with everything you need to MAKE a spookier Halloween. 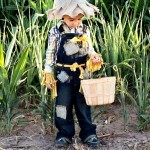 Get everything you need to create the creepiest (and coolest) costumes, and haunt up your homes décor! Now until 10/31! 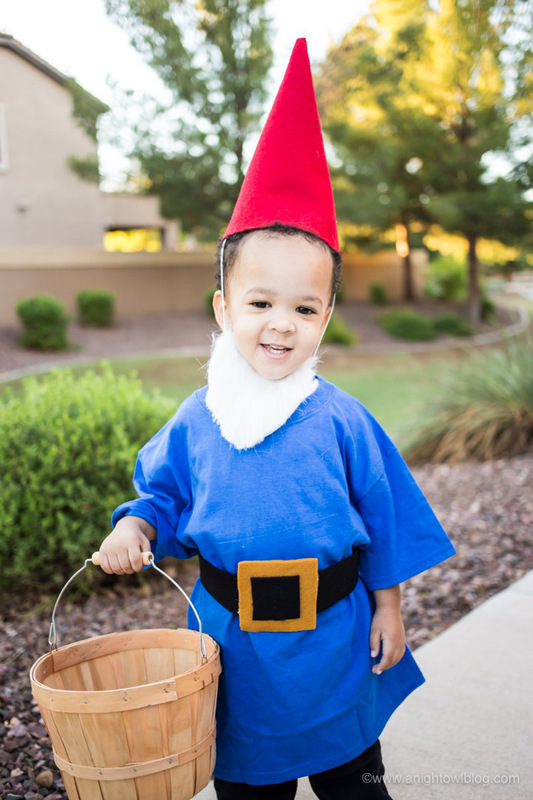 I have always found little garden gnomes to be so adorable. 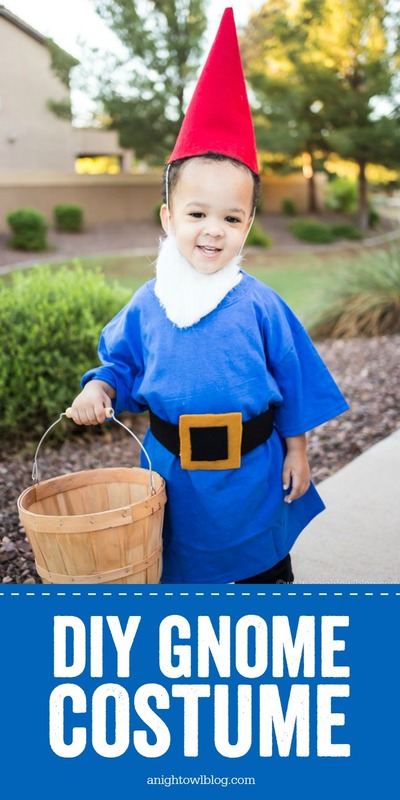 So when you have a cute little one that you need to make a costume for, it’s a perfect fit! You really only need a few supplies to create one! 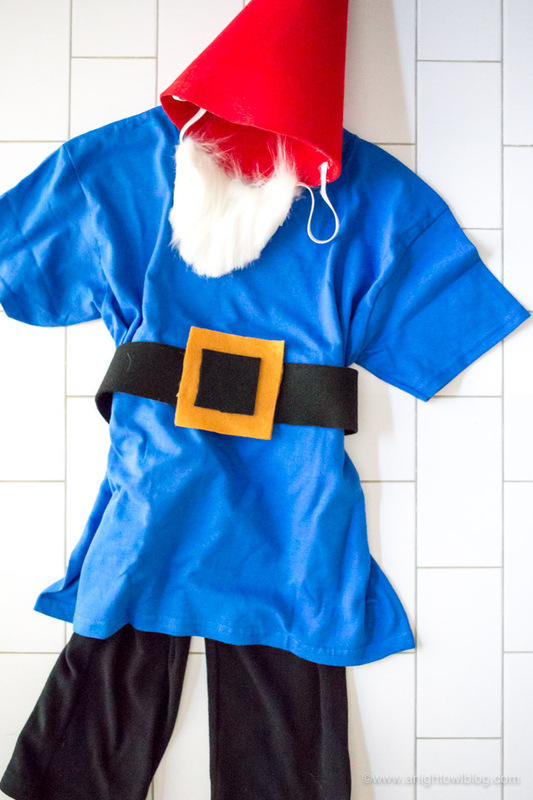 And the steps for this costume are so simple! We’re going to make two separate pieces: the hat (which includes the beard), and the belt! 1. 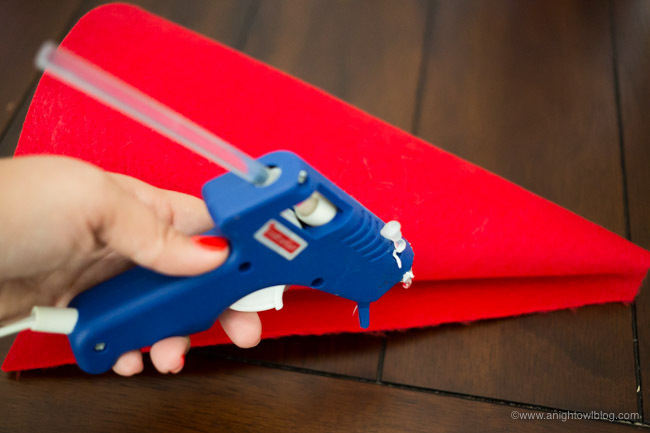 First, roll your red felt into a cone, cut off any excess to create a flat base then glue the sides shut. 2. 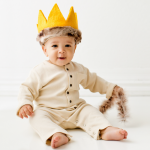 Next, glue your elastic cording to the inside, measure how long you need the cord to wrap around your child’s head. 3. 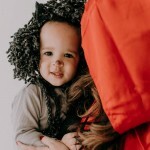 Lastly, for the hat we’re going to add the craft fur to the cording so that nothing has to be right on the child’s face (I’m not sure there are many kids out there who love things right on their face, right?!). 4. 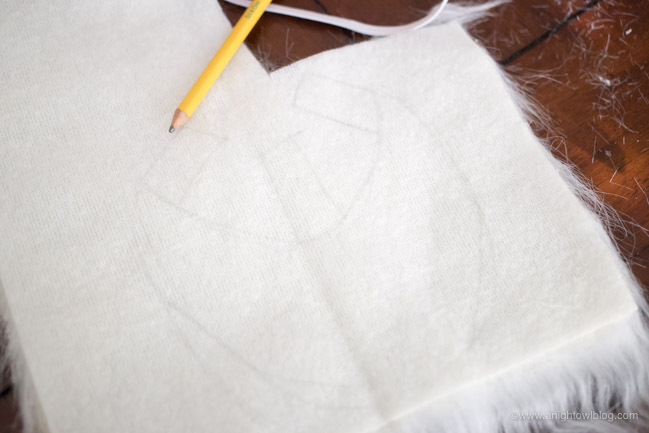 I drew the beard shape on the back of the fur and added in “tabs” at the top which I wrapped around the elastic cord and glued so that it would stay. 1. 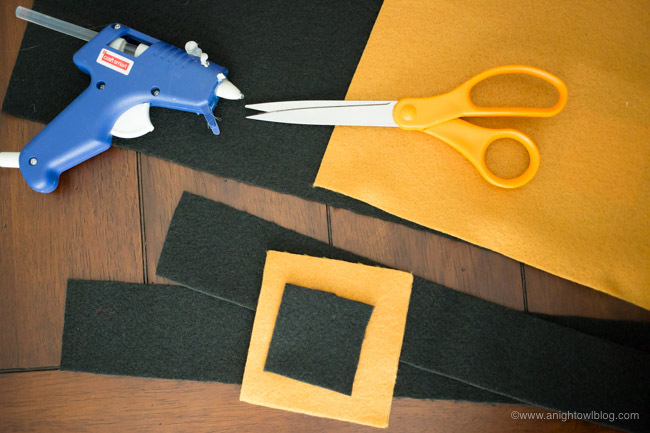 For the belt, I just cut two long strips of black felt, two squares of yellow felt (I doubled up the yellow felt for thickness and durability), and one small black square. 2. I simply glued together the yellow felt squares, and the black square on top. 3. Then I glued one end of each of the black strips to the back of the yellow squares and wrapped it around my kiddo’s waist to measure how long it needed to be. 4. Once I cut the belt to size, I added velcro strips to the ends so that I could wrap it around and velcro it to stay. 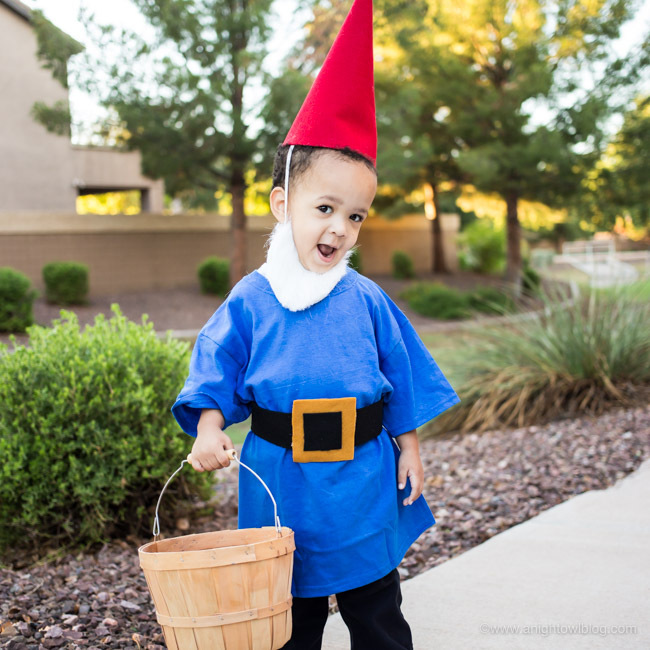 Add your hat and your belt to the blue t-shirt, grab some black pants and your little DIY Garden Gnome Costume is good to go! 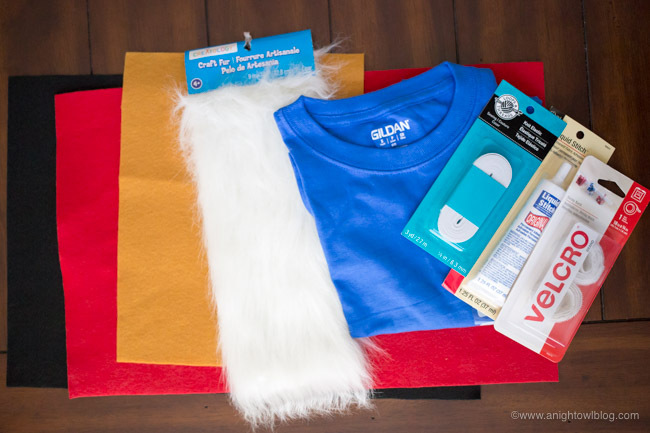 So if you’re ready to craft up some Halloween costume fun for this year, be sure to stop by Michaels Stores! Michaels is your Halloween HQ with everything you need to MAKE a spookier Halloween. Get everything you need to create the creepiest (and coolest) costumes, and haunt up your homes décor! Now until 10/31! 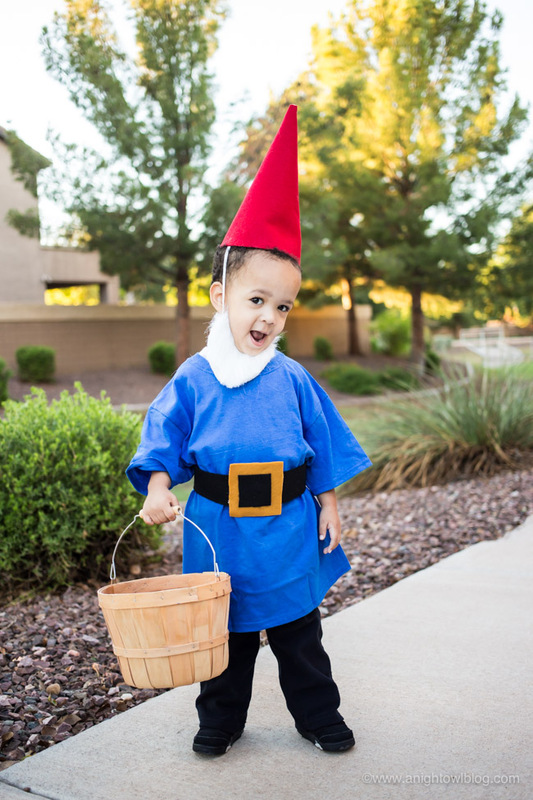 Looking for more Halloween Costume fun? Check out these amazing DIY’s!